Are you ready for some excellent western short stories? 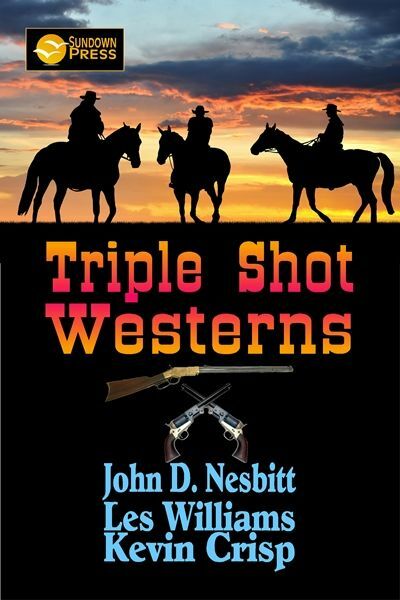 Triple Shot Westerns is another wonderful anthology from SUNDOWN PRESS, chock full of good ol’ western action that you won’t want to miss! Three stories from each of three of the best western authors in the field take you back to the days when men settled their differences with their fists and guns on the dusty streets of Small Town America. Mountain men, miners, lawmen, outlaws and drifters come alive in these stories that create this great collection of tales for lovers of the Old West. Authors John D. Nesbitt, Kevin Crisp, and Les Williams offer up an assortment of nine stories of western action that will keep you turning the pages until you finish every last exciting tale! 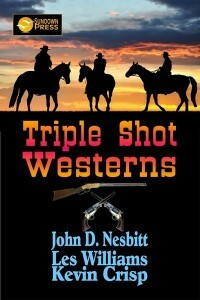 Settle back in your easy chair and snag your copy of Triple Shot Westerns for some mighty fine western reading.